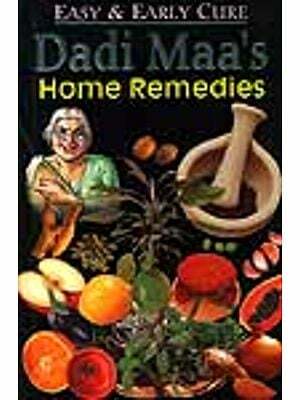 Meant for every household, the book provides Ayurvedic cures as well as prevention for a lot of common diseases. It will serve to reveal the medicinal properties of commonly available natural substance like honey, milk, buttermilk, salt etc. and the herbs often come across in the kitchen like garlic, ginger, cornmint etc. Using herbs and dietary substance as medicines will actively help our self-healing processes and strengthen our overall good health. 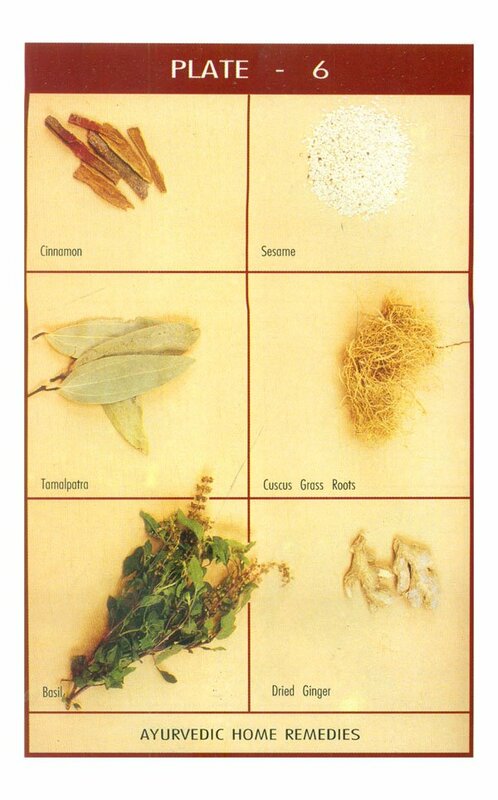 Ayurveda is one of the most ancient systems of medicine in the world. Its origin goes back to the sacred Vedas which are considered the oldest scriptures on the human wisdom and civilisation. Caraka says Man is the epitome of the universe, denoting that man is part and parcel of the Universe and as such he can not be taken in isolation. The entire skeleton of body with consciousness which we call 'Man' is not only product of the Universal Nature but also depends thereon for its continuance. The self of the person (purusha) is the continuum of the Universal Self while the physical body composed of pancha mahabhutas (earth, water, fire, air and ether) originates from the panchabhautika seed and derives nourishment from food and drinks of the similar composition. From core physics of panchamahabhuta, the applied concepts of Ayurveda developed in terms of the theories of tridosha, sapta dhatus, malas, agni and ojas, etc. in the human organism and the concepts of rasa, guna, virya, vipaka, prabhava, etc. in diets and medicines. 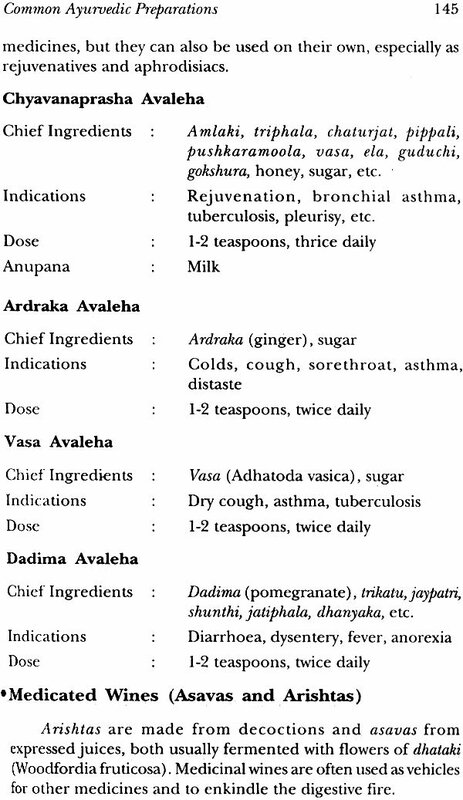 These are the unique concepts of Ayurveda. 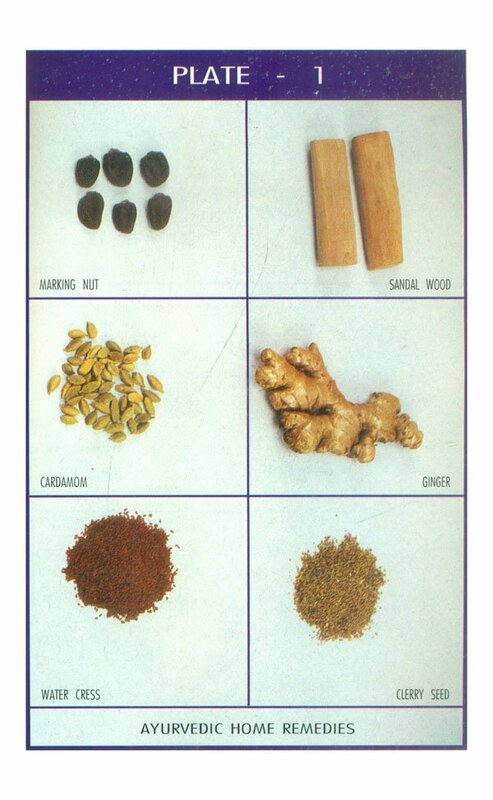 In Ayurveda, diet has been given extreme importance. Dietary consideration is an important component of every prescription in Ayurvedic therapy. Sometimes, dietary management is in itself a complete treatment. It is pertinent to emphasise that the type of diet and its suitability for a particular person, should be determined by a person himself. Pathya is that diet which promotes health and brings about happiness to the body and mind and simultaneously corrects the panchabhautika constitution without obstructing the channels. 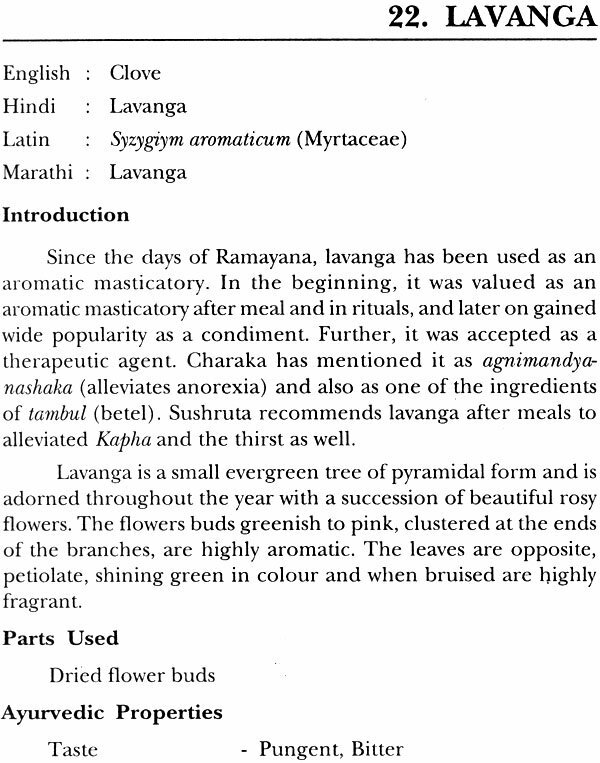 Foods containing different rasas, i.e. 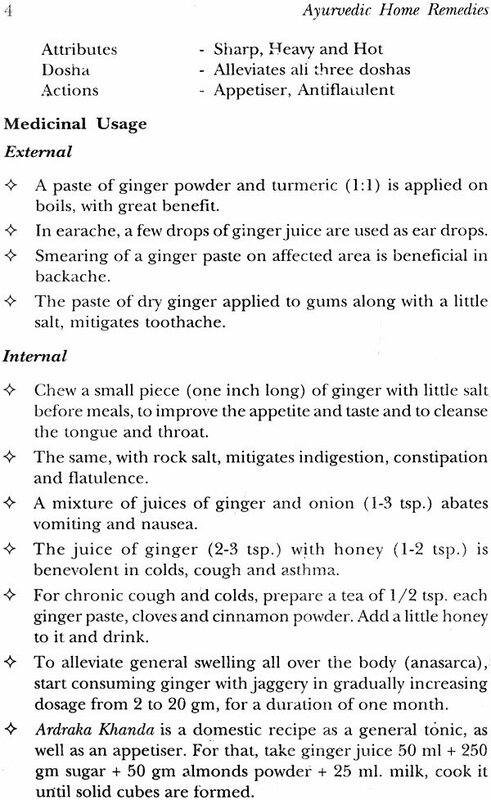 tastes and gunas, i.e. properties should be consumed so that all the necessary elemental nutrients are obtained. Therefore sarvarasabhyasa, i.e. diet containing all the tastes, is considered the key principle of Ayurvedic dietetics. 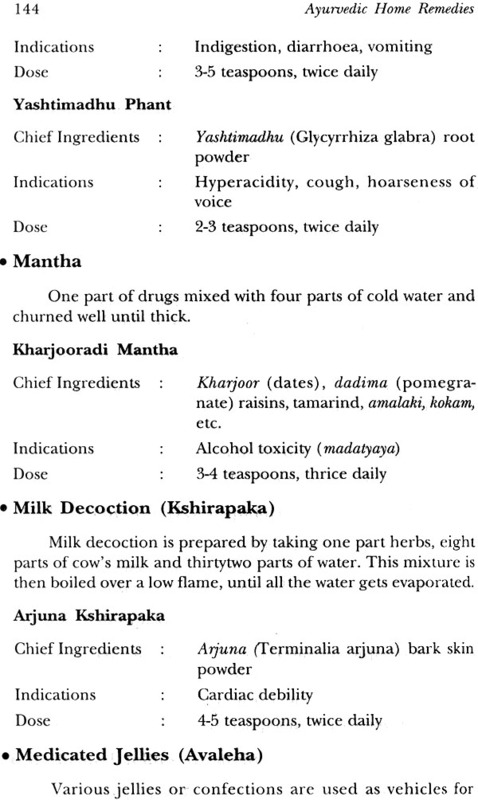 In present book the author has aptly selected dietary substances, which otherwise can be utilised as medicine also. This book provides the therapeutic properties of more than forty commonly used herbs, which are familiar in kitchen and spice box staples. 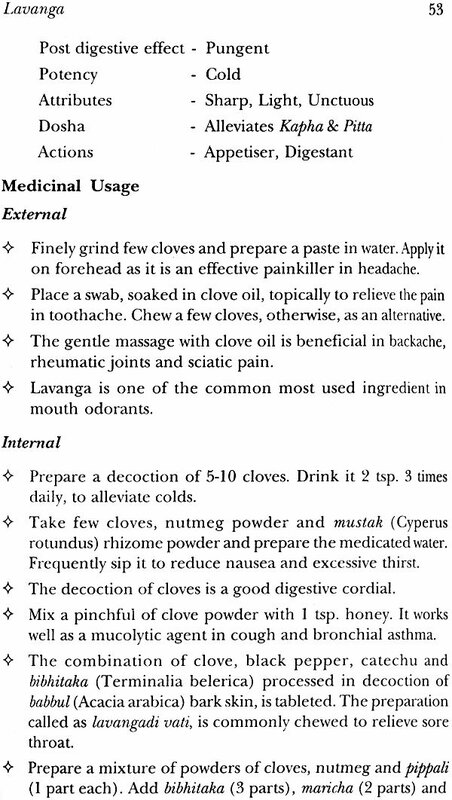 The knowledge of their Ayurvedic medicinal properties will enable the reader to use them as medicine to prevent as well as to cure various maladies. Ayurveda, is in real sense, the science of living. Its basic concept that man is the microcosm of the macrocosm - the universe, is really the universal truth. 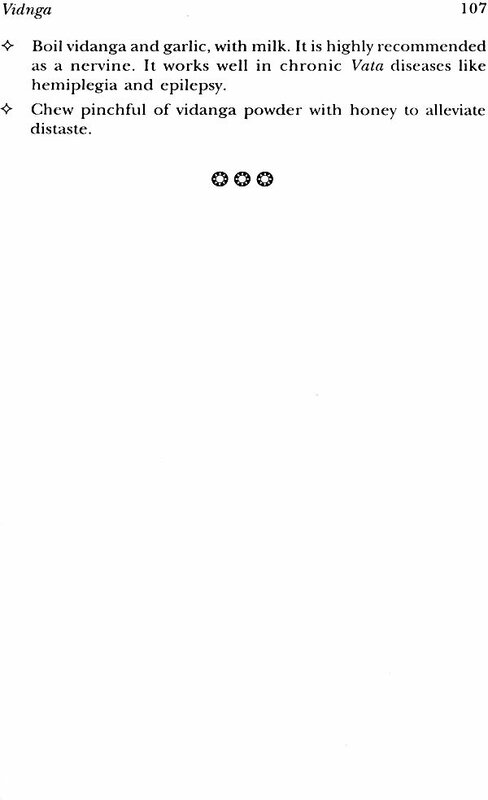 The five basic elements, viz. Earth, Water, Fire, Air and Ether are both common for the creation of the universe and the human being as well. Various factors like age, seasonal variations, environmental disturbances, industrialisation, dietary changes etc. lead to an imbalance in an individual. In Ayurvedic healing, this imbalance is corrected with the help of natural resources itself, may be a drug or a diet, which brings back the equilibrium of tridoshas in the body. In treating an individual, Ayurveda emphasises on preventive aspect, rather than mere curative one. The wholesome diet is the health and unwholesome diet is the disease says Charaka. Today, although the modern man is technologically advanced with all the means at his end, has still not found the means of living healthily. Many a times, the man inevitably gets distracted from his routine, diet and exercise. After some period, the repercussions of his existence against the laws of Nature may surface in the form of a disease. There are, many a times, minor ailments, which really give the clue to him about the forthcoming disease, but he tends to ignore, because of the pace of life. This infact is, really, the delicate phase, where one should stitch in time. 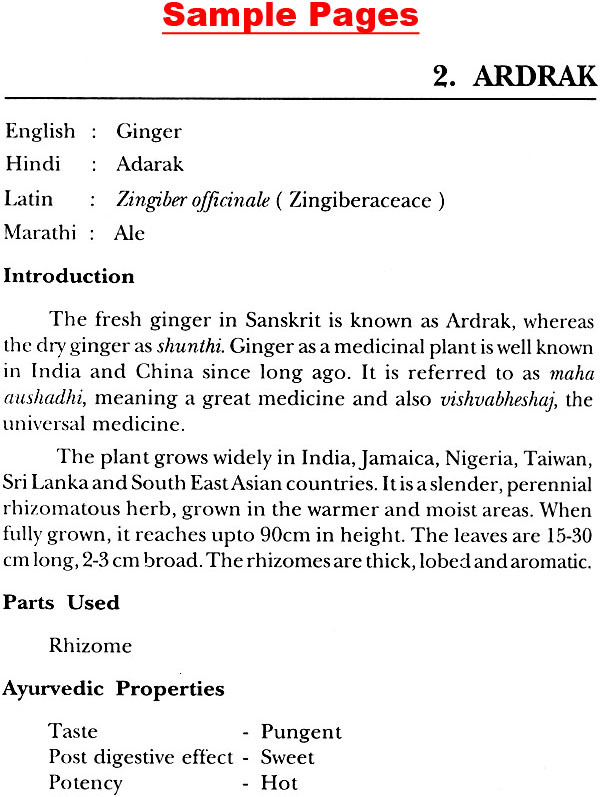 Ancient scholars of Ayurveda, have not only tasted the herbs, but have tested them for thousands of years and laid down the scientific knowledge of herbology. Apart from hundreds of medicinal herbs, there are a few, which we consume as food every day, whose medicinal properties are yet unrevealed. 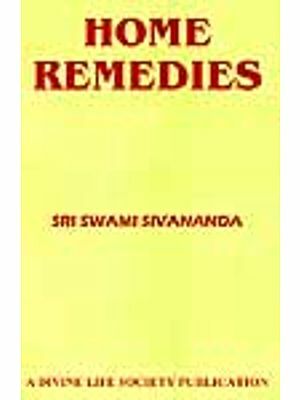 This book precisely aims at using these herbs as medicines and should not be intended to be taken as a replacement for medicinal advice. It aims to keep you healthy, away from the diseases and helping you to rejuvenate too. The book gives you an insight into the wonderful Ayurvedic world of remedies, which can add colour and taste to your life. 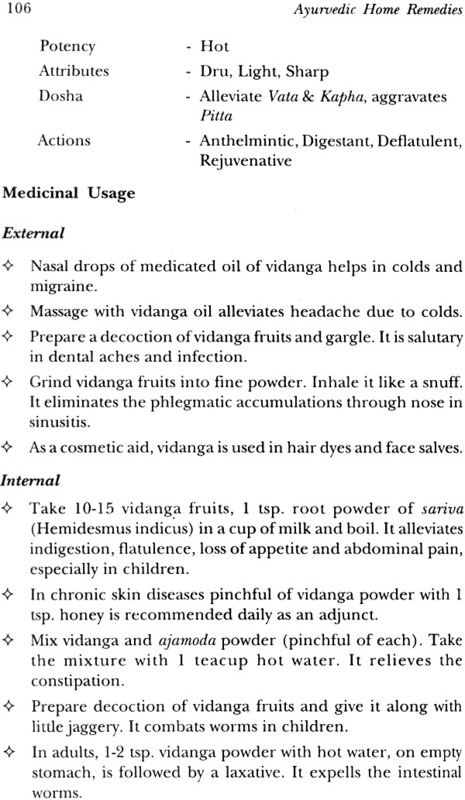 Vaidya B. P. Nanal, a noted scholar of Ayurveda, has written foreword for this book for which I am indeed thankful.